A child’s first visit to the dentist should occur at 12 months of age. During this exam and preliminary risk assessment, parents are informed about methods of promoting their child’s oral health and understanding their child’s dental development. This individualized session may include discussions on teething, thumb habits, pacifier, proper feeding and oral home care techniques. Inform your child about the visit and let him/her know the dentist and his staff will explain the routine and answer any questions. Refrain from using words that might create unnecessary anxiety, such as needle, pull, drill or hurt. OUR clinic makes a practice of using more kid-friendly terms that convey the same message. 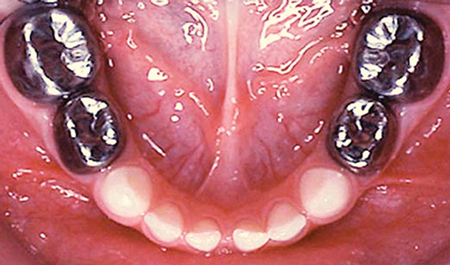 Are MILK teeth really that important to my child? Primary or “MILK” teeth are important for many reasons. Not only do they help children speak clearly and chew naturally, they also aid in forming a path that permanent teeth can follow when they are ready to erupt. A toothbrush will remove plaque bacteria that can lead to decay. Any soft-bristled toothbrush with a small head, preferably one designed specifically for infants, should be used at least once a day at bedtime./ OR WHEN THE TEETH HAVE NOT YET ERUPTED THE GUMS SHOULD BE CLEANED WITH MOIT COTTON. 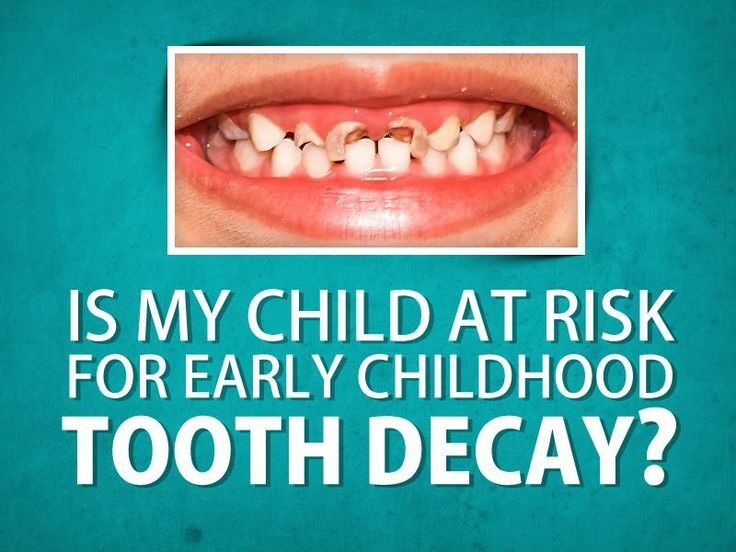 Fluoridated toothpaste should be introduced when a child is 2-3 years of age. Prior to that, parents should clean the child’s teeth with water or non-fluoridated “tooth and gum cleanser” and a soft-bristled toothbrush. When toothpaste is used after age 2-3, parents should supervise brushing and make sure the child uses no more than a pea-sized amount on the brush. Children should spit out and not swallow excess toothpaste after brushing.THE VARIOUS FLOURIDATED TOOTH ATES AVAILABLE IN MARKET ARE CHERRIO GEL, PEDIFLOR, KIDS TOOTHPASTE BY COLGATE(BARBIE AND SPIDERMAN TOOTH PASTES). Fluoride is an element, which has been scientifically proven to be extremely beneficial in the prevention of dental decay. There are two types of fluoride, topical (toothpaste; professional treatments) or systemic (city water; prescribed supplements; fluoride containing multi-vitamins). However, too little or too much fluoride can be detrimental to the teeth. Little or no fluoride will not strengthen the teeth to help them resist cavities. Excessive fluoride ingestion by preschool-aged children can lead to dental fluorosis. Place only a pea-sized drop of children’s fluoridated toothpaste on the brush when brushing. Teach your child how to expectorate toothpaste as soon as possible. Avoid giving any fluoride-containing supplements or vitamins to infants without speaking to your pediatric dentist first. One serious form of decay among young children is baby bottle or nursing tooth decay, frequently called Early Childhood Caries. This condition is caused by frequent and long exposures of an infant’s teeth to liquids that contain sugar. Among these liquids are milk (including breast milk), formula, fruit juice and other sweetened drinks. Putting a baby to bed for a nap or at night with a bottle of anything other than water can cause serious and rapid tooth decay. Sweet liquid pools around the child’s teeth, giving plaque bacteria an opportunity to produce acids that attack tooth enamel. If you must give the baby a bottle as a comforter at bedtime, it should contain only water. After each feeding, wipe the baby’s gums and teeth with a damp washcloth or gauze pad to remove plaque. The easiest way to do this is to sit down and place the child’s head in your lap, or lay the child on a dressing table or the floor. Whatever position you use, be sure you can see into the child’s mouth easily. Thumb and pacifier sucking habits will generally only become a problem if they go on for a very long period of time. Most children stop these habits on their own, but if they are still sucking their thumbs or fingers past the age of five, a mouth appliance may be recommended by your pediatric dentist. There is very little risk with dental X-rays. 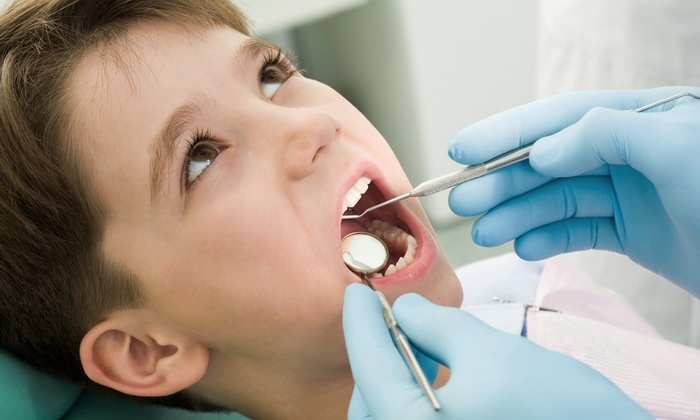 Pediatric dentists are especially careful to minimize the amount of radiation to which children are exposed. What should I do if my child has a toothache ? Rinse the irritated area with warm salt water and place a cold compress on the face if it is swollen. Administer any mild pain killer such as paracetamol/crocin syrup or tablet and take your child to dentist as soon as possible. This procedure is needed when decay and bacteria are very near to the nerve. The diseased part of the nerve is removed. A soothing medicated material is placed, and a crown is placed to provide the final protection for the tooth. This is needed if the tooth has a dental abscess (infection) and/or the tooth cannot be adequately restored (fixed). This is needed when a baby tooth is lost earlier than it should be due to dental infection. It is very important in order to allow your child’s teeth to erupt into the mouth properly. The best restoration for a baby molar with decay on the “in-between” surface of a tooth. 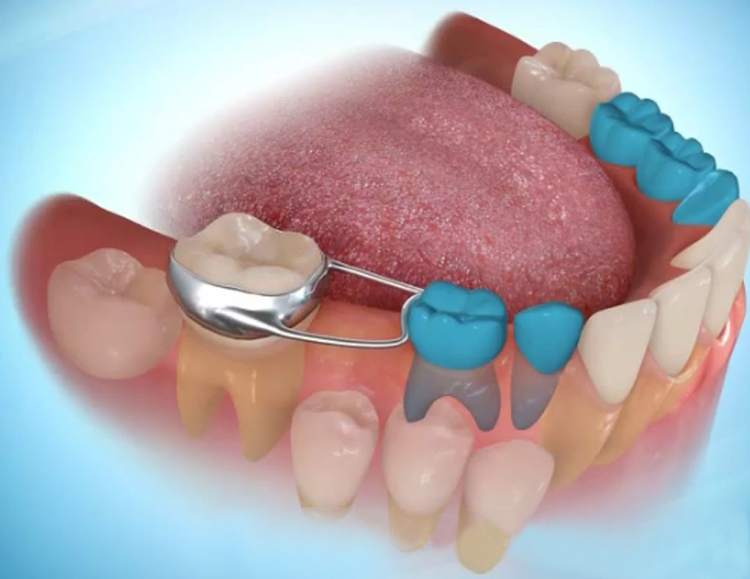 SSCs usually prevent any additional or recurrent decay and usually last until the primary tooth is shed. This is an excellent way to help reduce the chance of your child getting cavities on the chewing surfaces of the tooth. This is recommended for most adult molars. A material is flowed into the cracks, grooves, pits and fissures of the child’s tooth.